The first real threat to steam operation in Worcestershire came when Tyseley based suburban (non-corridor) diesel multiple units arrived in 1957 on local workings from Birmingham Snow Hill. 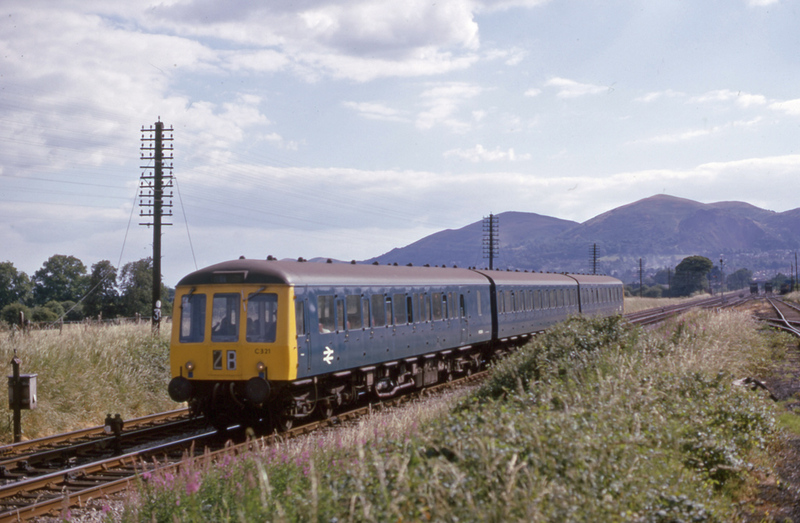 Originally painted in a green livery they had by the time of this photograph appeared in an all over blue livery. Set against a backdrop of the lovely Malvern Hills the photograph shows Cardiff based No.50834 leading No.59038 and No.50897 at Newland on 29th June 1975. Photograph taken by Andrew Smith. 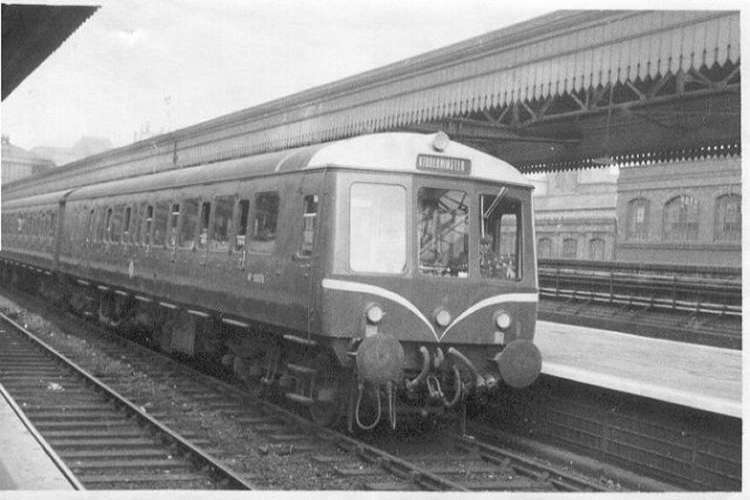 The photograph below shows one of the class at Birmingham Snow Hill on 7th August 1958. No.50076 is clearly on a local working to Kidderminster. Photograph from the collection of Andrew Smith.